You situation may be different, but there's just not a chance I'll be able to completely dodge getting sun this summer. It's Texas. It's sunny. It's hot. And try as we might to do most of our outdoor activities in the shade or early mornings/late afternoons, it is inevitable that Mr. Sun will find a way to shine his light my way. And that's a good thing, since catching those rays buoys your mood and boosts your health. But there is a dark side to too much sun exposure: premature aging and the very real risk of skin cancer. Truth is, sunscreen is needed year-round no matter where you live. Even car and office windows can't keep you shielded from the harmful effects of those strong UVA/UVB rays. And please don't tell me I need sun to produce vitamin D. I assure you, I'm getting plenty through my exposed lower body. But can you blame a girl for wanting to keep her face, décolletage and arms free from speckles, spots and damage? My doctor (this gorgeous one) would agree, prevention is the best cure and no on is immune to potential damage. But what if the sunscreen itself is more harmful than the dreaded ailments you're trying to prevent? Ahhhh. Therein lies the problem. Chemical sunscreens are loaded with questionable substances. Look for a lengthy list of complex names typically ending in -one, -ate or -ene. Oxybenzone is an endocrine disruptor and octinoxate (aka octyl methoxycinnamate) has periodically been labeled a cancer causing ingredient. Retinyl palmitate - another common ingredient "may increase photocarcinogenicity, the rate of developing cancerous lesions or tumors from sun exposure, according to a 2009 study (1)" , You might have never given this a second thought before, but spraying or rubbing this into your skin gives these active ingredients the opportunity to get into your system and cause a range of problems. Why are chemical sunscreens more popular? It's simple: they are invisible, readily available and never leave that ghastly white cast on skin. The all-star ingredients here are Titanium dioxide (TiO2) and Zinc oxide (ZnO). Whereas chemical sunscreens work by absorbing the suns rays or scattering them, they take 20 minutes to begin performing. So no spraying it on and jumping in the pool feeling protected. 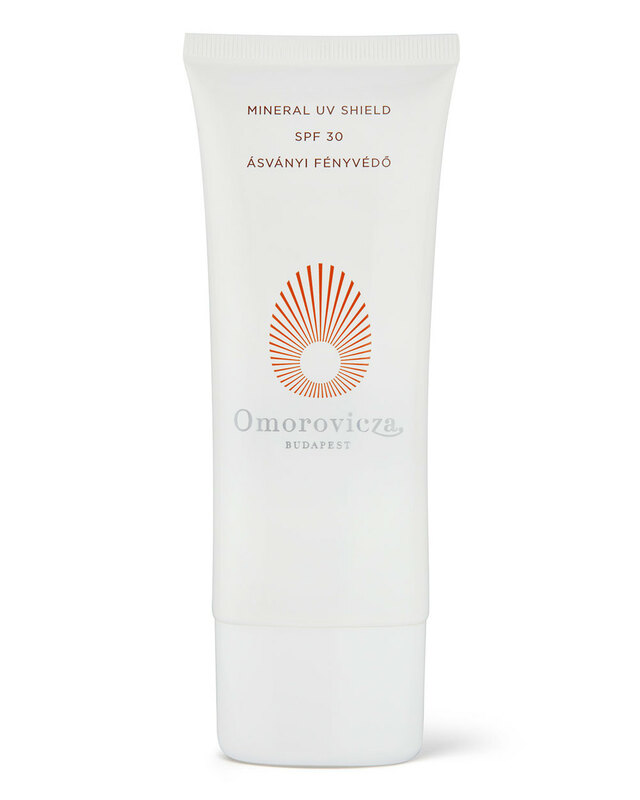 Mineral sunscreens, by contrast, are a physical barrier that sits on top of the skin and prevent the rays from actually penetrating the skin. They begin working immediately upon application. Good news - the best of the bunch are also loaded with antioxidants which have been proven to work synergistically to protect your from damage caused by exposure to the sun. For my face & upper body I need a water-light formulas with SPF 45+ that melts into the skin. These top my list with Josie Maran & Omorovicza being tied in first place for being by far the most natural and skin nourishing of those I discovered. For body, this Avene lotion is my personal choice but the three creams listed below are hydrating, top quality and terrific performers. They just require a bit more rubbing in, being thicker formulas than the thinner facial liquids. For kids, Hampton Sun is the way to go. No doubt. Yes, they are pricey - but nothing is as sacred as your health and avoiding expensive treatments or reparative efforts later on. One other secret weapon for saving your gorgeous face? SPF powder for reapplying during the day. Remember, they recommend we reapply sunscreen every two hours for effectiveness and I'm not about to put a fluid on top of my makeup once I'm ready for the day. Hence the need for powders. Yes. It works and is largely free from unnecessary ingredients. I LOVE the Chantecaille, but it is almost always sold out. So I've added two other winners I love. Note: these are NOT grainy formulas. These are finely milled and can be dusted on like an invisible veil. 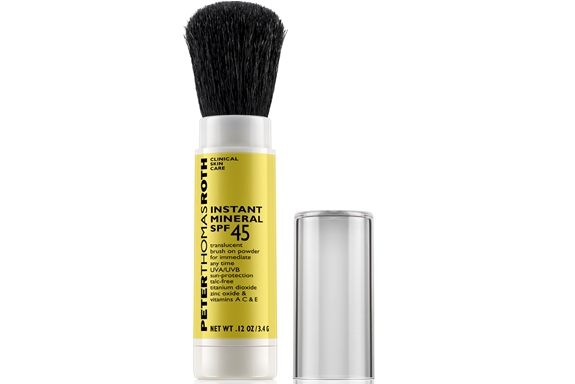 No - you will not have powdery face, but you might just avoid some major sun damage by tossing one in your tote. Pro tip: purchase the Chantecaille Refill while you wait for your handy brush/dispenser combo to arrive. I'll be candid here: my dad is a skin cancer survivor. My maternal grandfather regularly has to go and have melanomas removed. Having grown up in the Carolinas I can tell you I wasn't so sun safe. To say that prevention of future damage is a priority for me is an understatement. Couple that with my love of exercising outdoors and generally having fun and you get a girl who is obsessed with finding fantastic products. So if I seem passionate about the topic of "safe sun" and a bit obsessed with maintaining my youthful glow, I'll agree with you. I am. Better late than never, right? I'm not advocating hiding indoors - I'm encouraging to find high quality products that allow you to live your dreams in the safest and healthiest way possible.